The power of a global network is being effectively harnessed by the Smart Grids Innovation Challenge (IC#1) as evidenced by its achievements to date. Collaborative working by IC#1 members has resulted in interesting outputs and inspiring plans to achieve the goal of enabling future grids that are powered by affordable, reliable, decentralised renewable electricity systems. IC#1 was officially launched in June 2017 at the 1st IC#1 deep dive workshop held in Beijing. 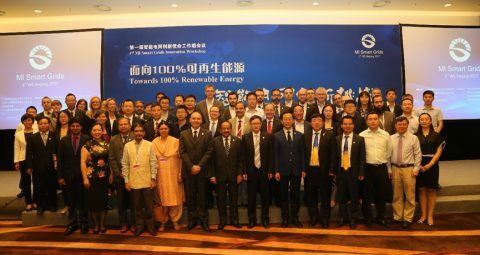 Experts in the smart grids field from around the world exchanged in-depth experiences and insights on smart grids development in future energy systems, sharing best practices, addressing common issues and focusing on future work. 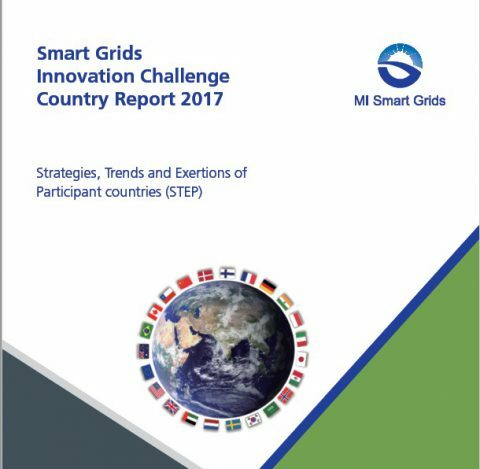 Fourteen IC#1 member countries have contributed to a major output, the “Smart Grids Innovation Challenge Country Report 2017”. The report, released in November 2017 at the second IC#1 deep dive workshop in New Delhi, details the strategy, trend, vision and ongoing activity in the smart grids field from each contributing country. The Puducherry Smart Grid Pilot Project and Battery Energy Storage System Pilot Project in India – demonstrating Advanced Metering Infrastructure and three different battery technologies for two different applications (frequency application and energy time shift). It is expected that an updated version of the Country report will be released in spring 2019, with more recent data and contributions by additional IC#1 members. Ten smart grid R&D priorities have been identified through the work on the Country Report and surveys of member countries. The top 6 tasks have been prioritised for elaboration and launch this year. Co-leads for each task are finalising the Programmes of Work in preparation for their launch at the third IC#1 workshop, taking place in Copenhagen and Malmö alongside MI-3. A significant announcement planned for MI-3 is the result of the pioneering Call for Proposals by the Indian Department of Science and Technology. The US$5 million funding was available to organisations from all Mission Innovation member countries collaborating with Indian organisations to undertake Research & Development in the field of smart grids. Such collaborative Calls for Proposals were expected to be replicated and indeed this has happened already with dedicated Calls launched by other IC#1 member countries, for example Australia. In addition to the multi-lateral activity the IC#1 member countries have signed several bilateral collaboration agreements including India with Italy, the UK and the US and Italy with China. The members of IC#1 are making the most of the opportunity to meet up in Copenhagen and Malmö around MI-3. Activities include the third IC#1 deep-dive workshop on 20th to 22st May. On the first two days in Malmö the messages to share at MI-3 will be finalised between IC#1 members. On 22nd May the workshop in Copenhagen is open to the public. Attendees will include decision makers, experts and others with interest in intelligent energy systems to discuss the latest advancements around the world, innovation priorities and identify international collaboration possibilities, business opportunities as well as innovation potential. The deep-dive workshop will also explore synergies with the activity of IC#7 (Affordable Heating and Cooling of Buildings). On 23rd May, during MI-3, there will be a smart grids roundtable gathering ministerial and CEO level participants to agree a significant commitment. IC#1 co-leads are coordinating the preparation of the roundtable discussion on smart grids during the MI-3 session “Public-Private Cooperation on Clean Energy Innovation: Deals for Decarbonization”. The IC#1 co-leads from China, India and Italy are enthusiastic about the potential of the collaboration stimulated through MI. They are keen for IC#1 member countries to put forward experts to carry out the tasks set out in the Programmes of Work and to take forward the MI-3 workshop outputs. They consider that MI represents an excellent opportunity for funding agencies and the research community to work together to accelerate clean energy innovation and to engage with industry and investors throughout the journey to prepare for large scale deployment.